a new job, a new camera! Well, you guys, I finally get to catch you up on some recent news. I just got a job at American Apparel in downtown Nashville! A lovely girl that works there found my Etsy shop and asked me to come in for a photo interview, and as it turns out, I got the position. 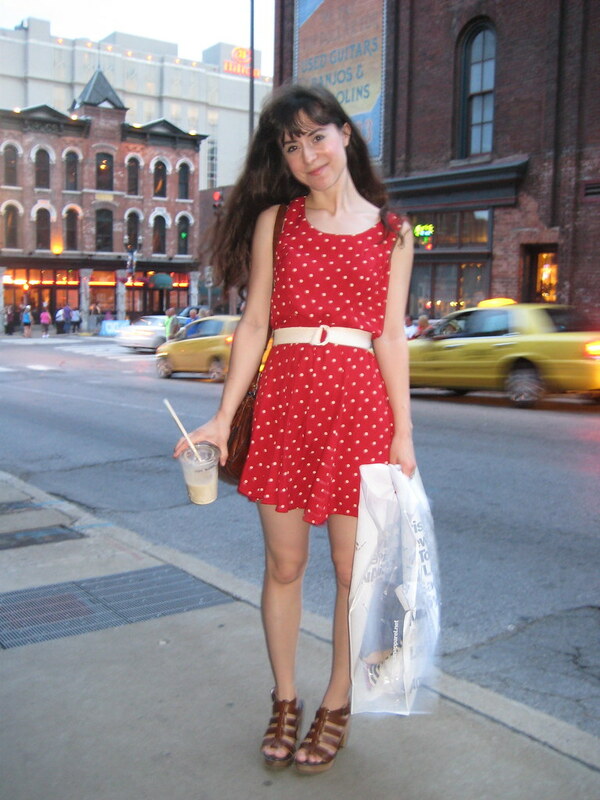 Because you're required to wear head-to-toe American Apparel while working there, I won't be able to stick to my sewing summer vow completely. This is the only shop I'm allowing myself to buy from, though. And since I have to buy so much AA (not that I'm complaining.. that store is magic), I thought it might be fun to post some of my work outfits from time to time.. maybe once a week, maybe more or less. I know I won't be able to wait til next week to show you guys some of my recent finds there.. honestly, I'll probably post an American Apparel outfit tomorrow. Their sheer lace tops and high waist chambray trousers are perfect. Not to mention their abundance of preppy styles, collared shirts buttoned up to the neck, and pastels. Man alive, I might spend everything I make there. I also just got this lovely camera from Neil as a (very!) 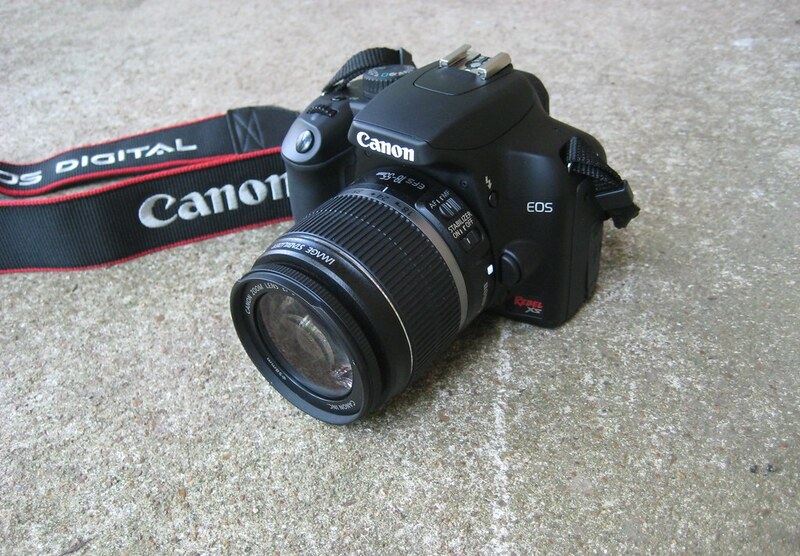 early birthday present.. it's a Canon EOS XS Rebel! 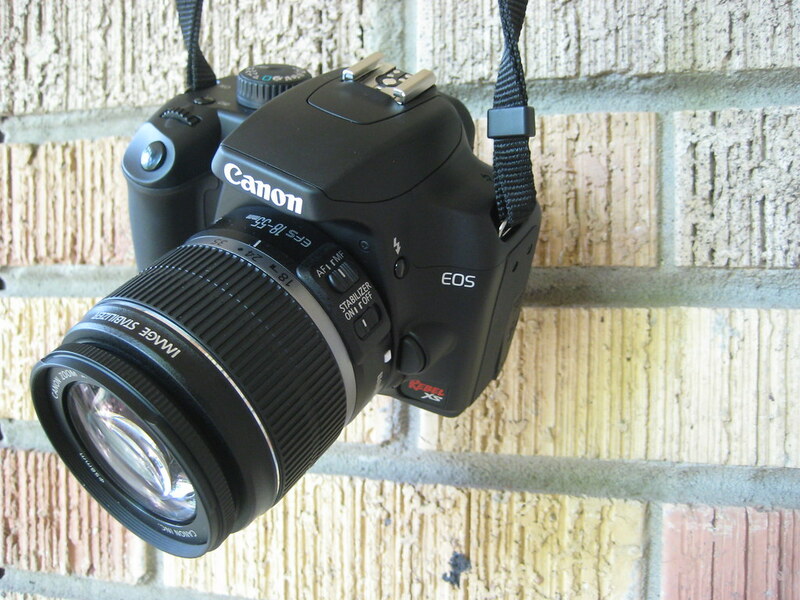 This will be my first DSLR, and I'm so excited to figure it out and start really using it. I've been playing around with it and watching a million YouTube tutorials, trying to get the hang of an SLR. There is so much to learn! I hope my photos do the camera some justice. Should I name the camera? I think I should. What's a good name? 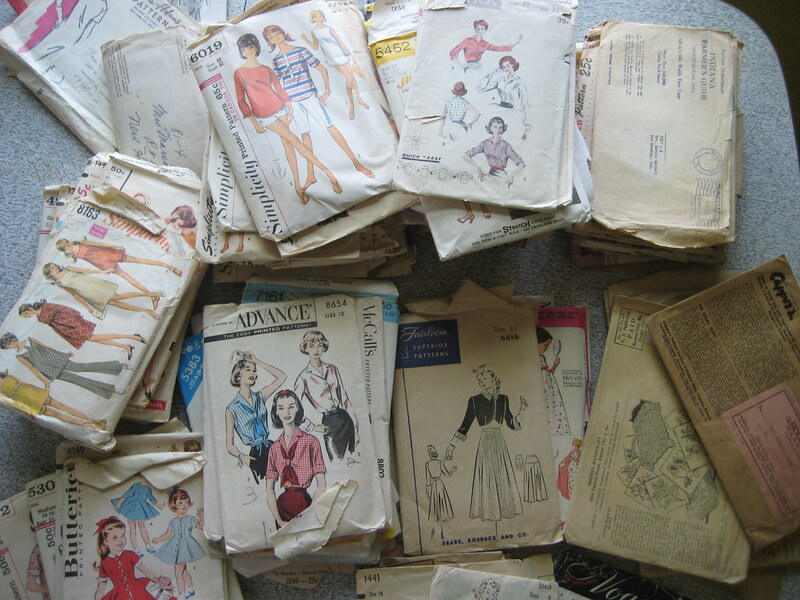 Last but not least.. my in laws came to visit this past weekend for Neil's birthday, and my mother in law Nancy brought me a large box completely filled with old sewing patterns. 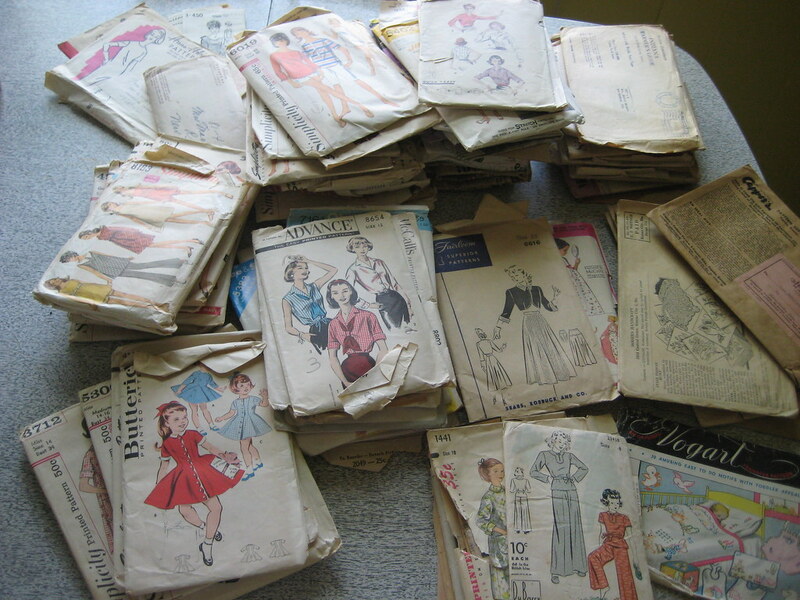 Apparently, her friend's mother had patterns sitting in her attic and had no use for them anymore, so when she heard I had started sewing, she gave them to me. What an amazing find! The patterns range from the 1980's all the way back to the 30's, and I can't wait to put them to good use. 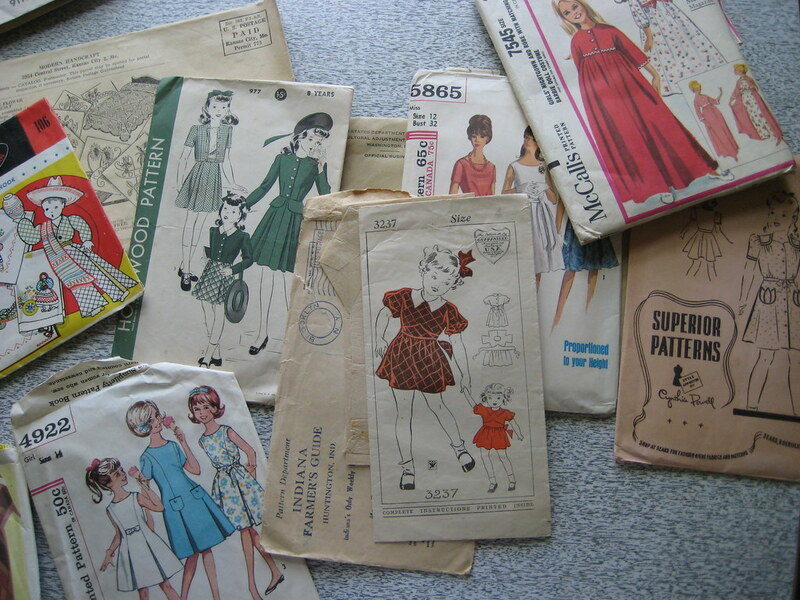 There was a good number of children's patterns in the mix, and one of my favorites was the lovely little red dress with a matching doll dress in the photo above, near the center. I'm wondering if I should make them both for my niece Stella. What exciting news have you guys had lately? american apparel head to toe.. striped bodysuit and chambray harem pants.